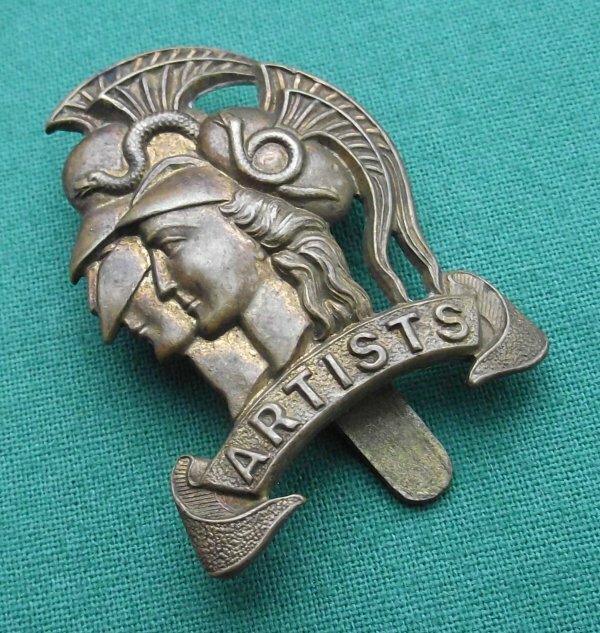 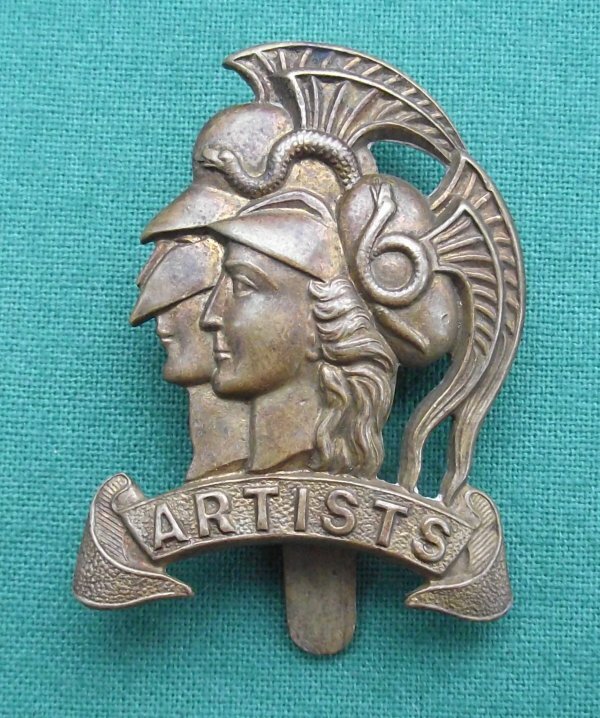 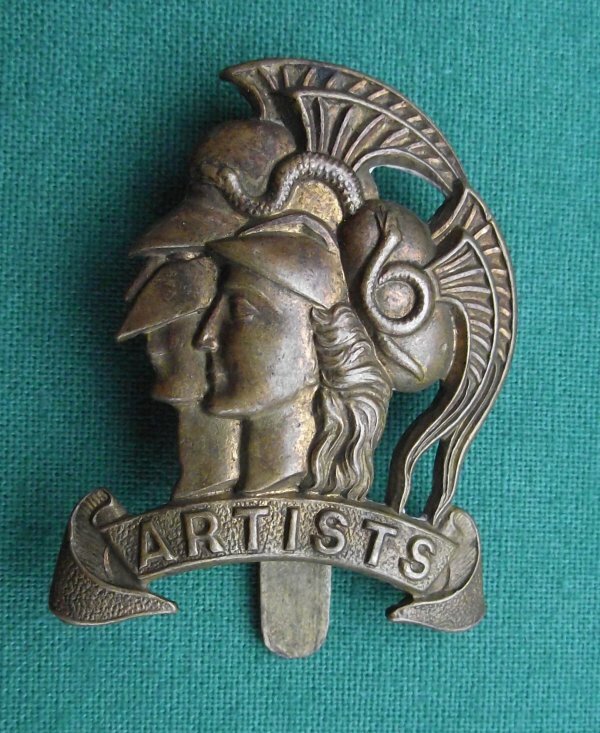 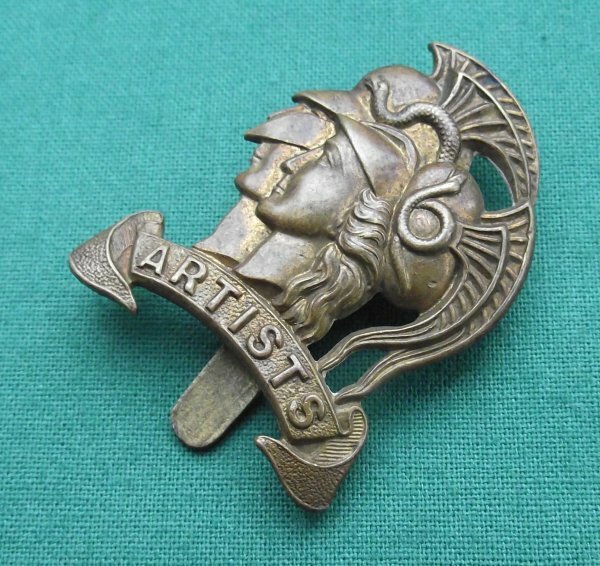 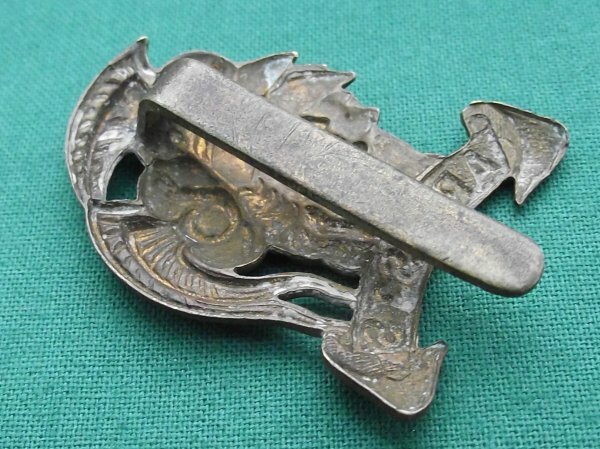 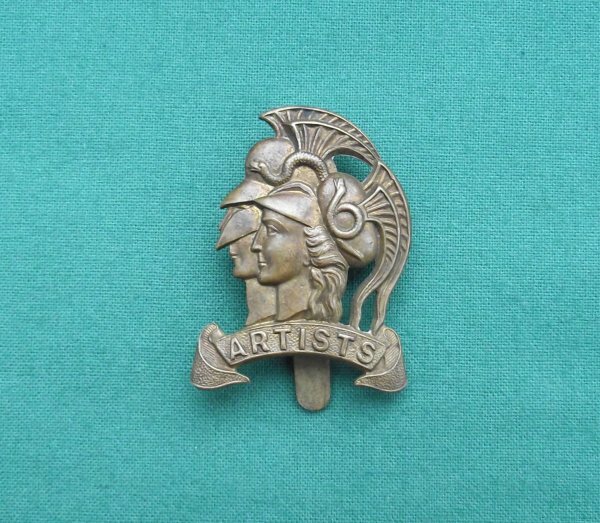 A Rare and 100% Genuine Gilding-metal, pre 1908 Pattern cap badge to the 6th (Duke's Road, Euston) Volunteer Battalion of the Rifle Brigade, the 20th Middlesex Rifle Volunteers "Artists", who went on to become the 28th Battalion of the London Regiment post 1908 (base scroll differs). 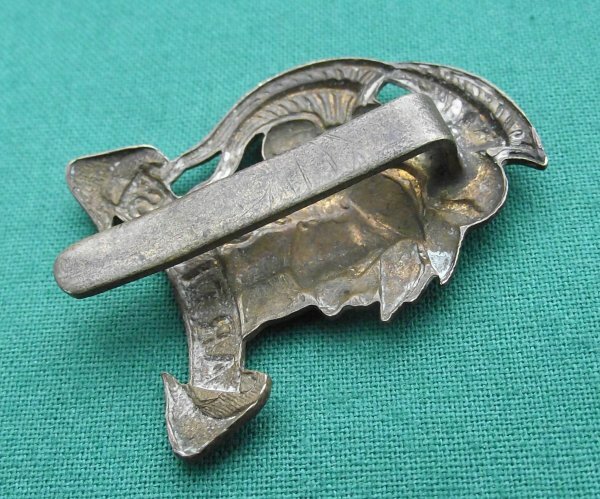 In Superb used condition, age toned with original slider fitting intact. 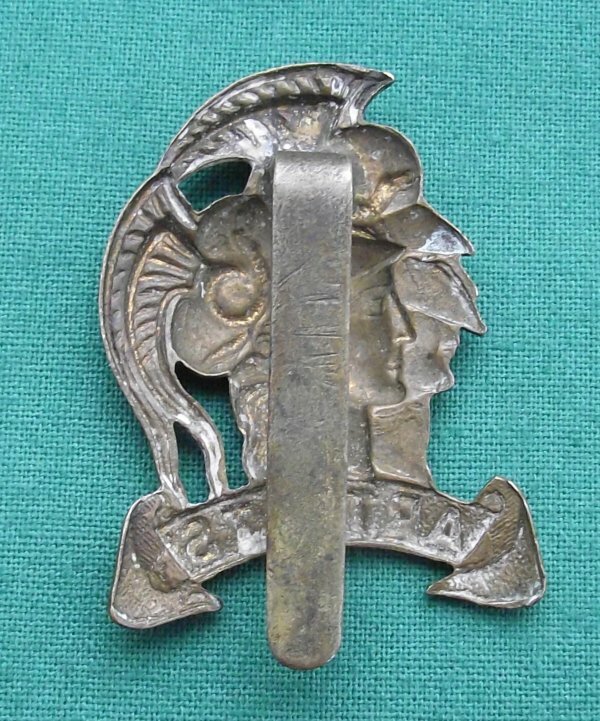 Measures approx 32 x 40 mm.